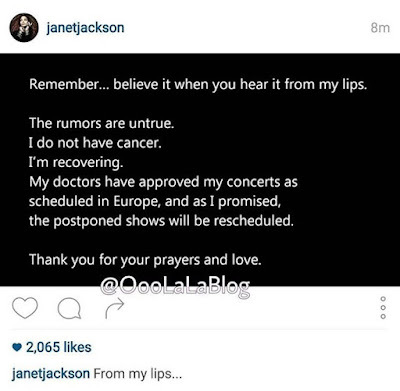 Janet Jackson Updates Fans On Her Health, Shuts Down Cancer Rumors - Ooooooo La La! 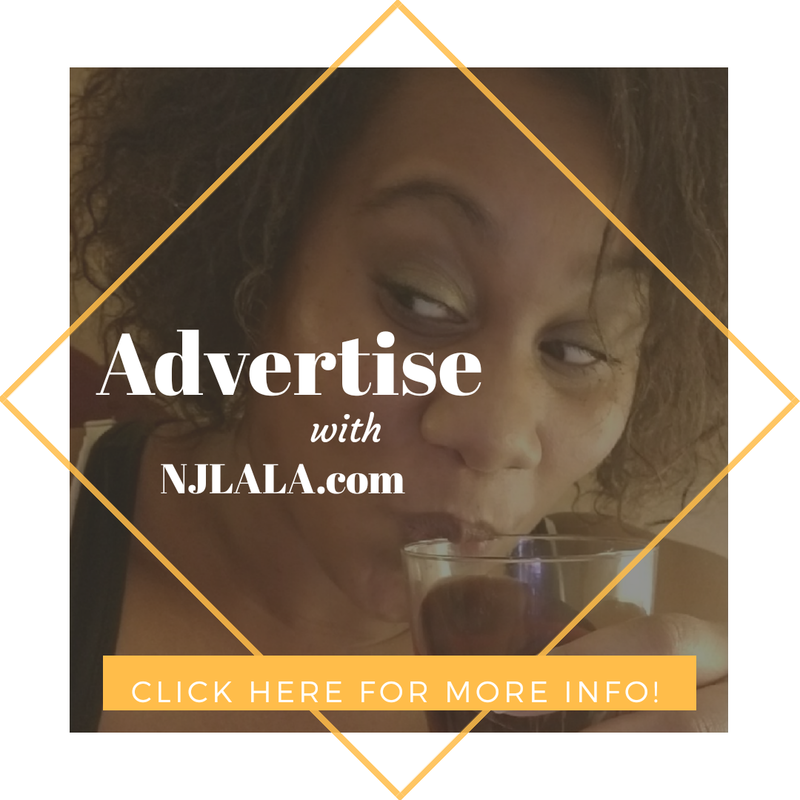 Rumors have circulated around lately that Janet Jackson is possibly suffering from throat cancer after she put her Unbreakable tour on pause. The legendary entertainer was under doctor's order to put a temporary stop on her tour due to health issues. Radar Online reported doctors may have found a growth on Janet's vocal chords and she may have cancer. 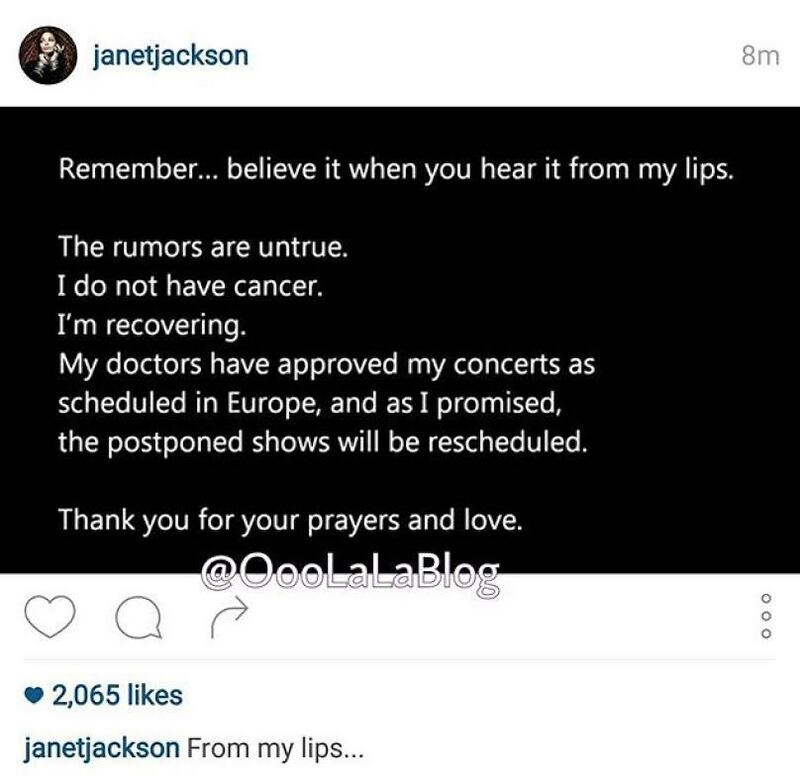 Janet's doctors have cleared her to tour Europe starting on March 30, according to Extra.